Mikko Paakkonen (b. 1990) will be graduating from the Turku Arts Academy this spring. 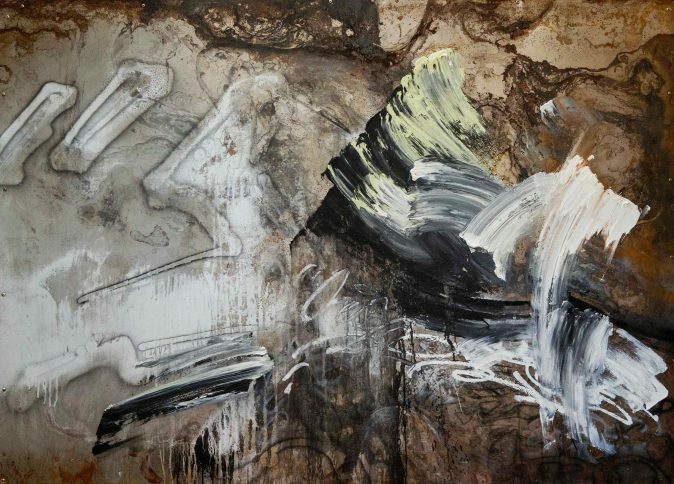 His paintings are physical, and the influence of both action painting and informalism can be seen in them. Perhaps this is why their materialism comes across as aesthetically timeless. The exhibition will be open from March 29th till the 21st of April. Closed on Good Friday. Welcome to the opening party on Thursday, March 28th from 5 to 7 pm!